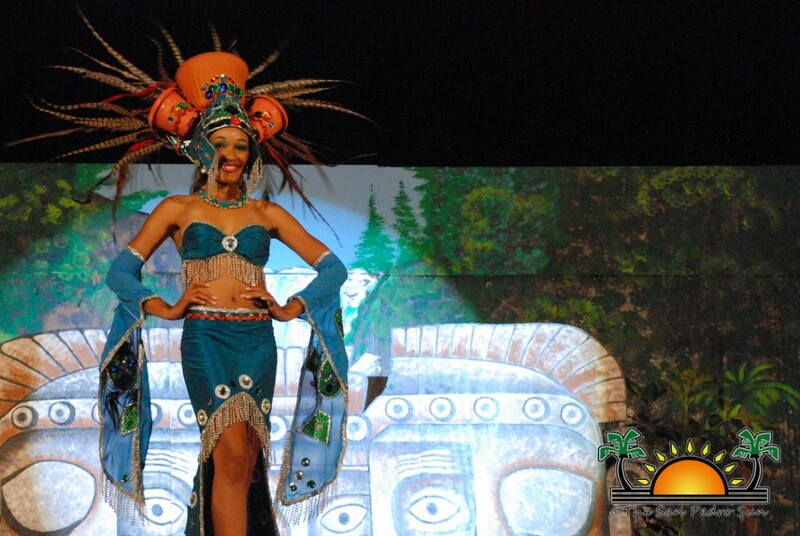 « Older: The Costa Maya International Festival is here! 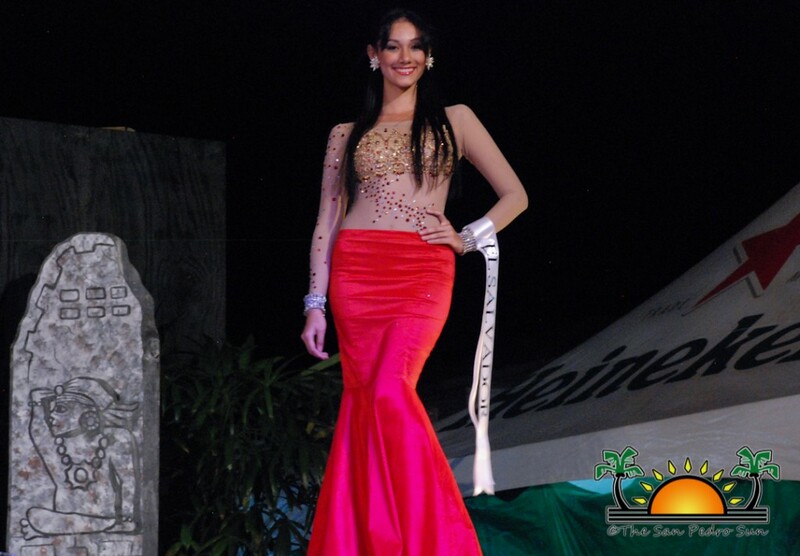 Miss Belize is the 2013 International La Riena de La Costa Maya!! 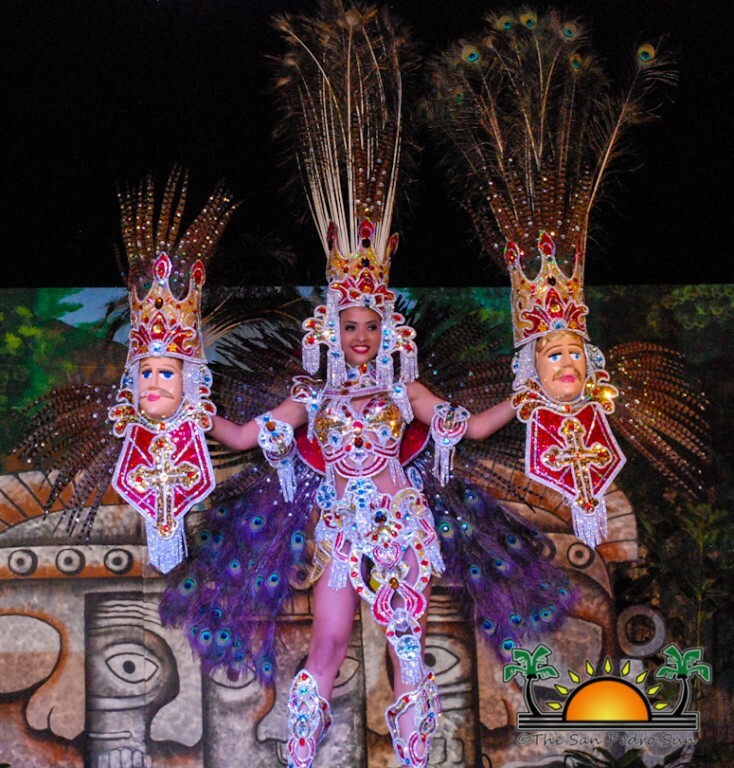 Destinee Arnold took the crown in the 22nd edition of the International Costa Maya Festival®. With her grace, poise and beauty, Destinee managed to capture the heart of the audience as well as that of the panel of judges. 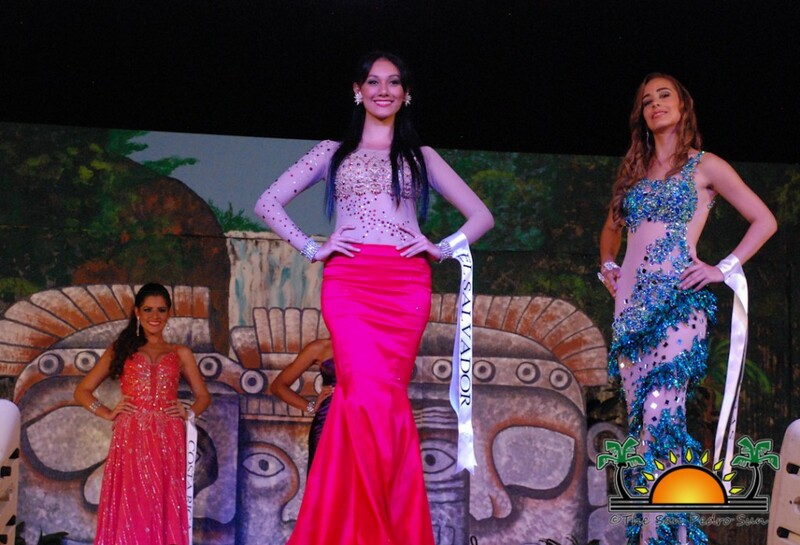 This year, seven countries from the Central American region plus Mexico, participated in the much anticipated pageant. The participants included, Miss Belize – Destinee Arnold, Miss Costa Rica - Andrea Rojas, Miss El Salvador - Fatima Yolanda Mauricio Magandi, Miss Mexico – Artemisa Rivera Montañes, Miss Nicaragua – Ariadna Judith Orellana, Miss Panama – Cleirys Velasquez, Miss Honduras – Monica Alexis Elwing Gough. 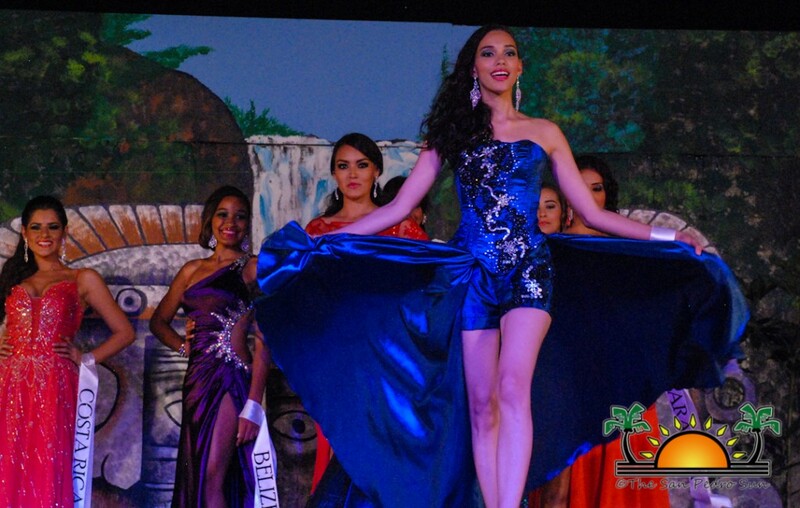 Due to unforeseen circumstances, Guatemala’s Alejandra Moralez could not participate in the pageant. 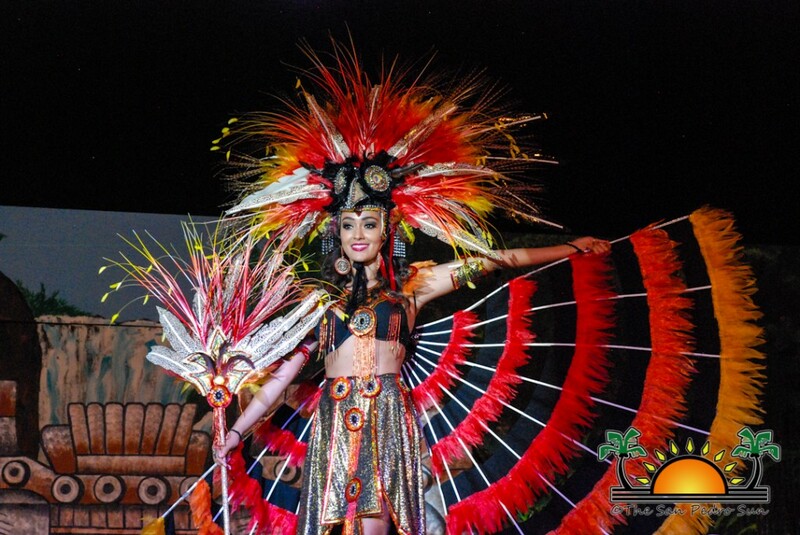 However, the remaining seven delegates brought their beauty, elegance and glamor to the stage at the 2013 Costa Maya pageant. The first segment of the evening saw the beauties gracing the audience with their elaborately beautiful, colorful cultural costumes, each representative of their country. 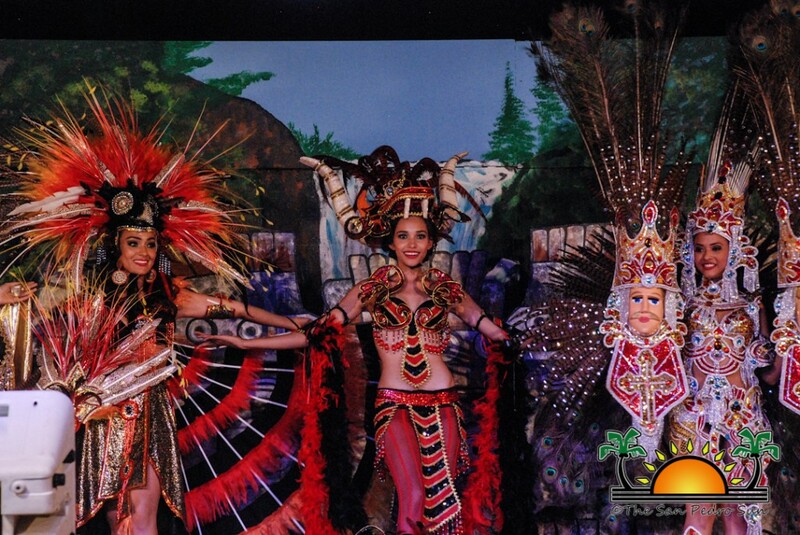 Miss Belize displayed a costume depicting the hard working Maya women. It included a blue outfit with jewelry and a headpiece adorned with pottery, symbolizing the contribution women made to the artifacts found in ruins across the Mundo Maya Region. 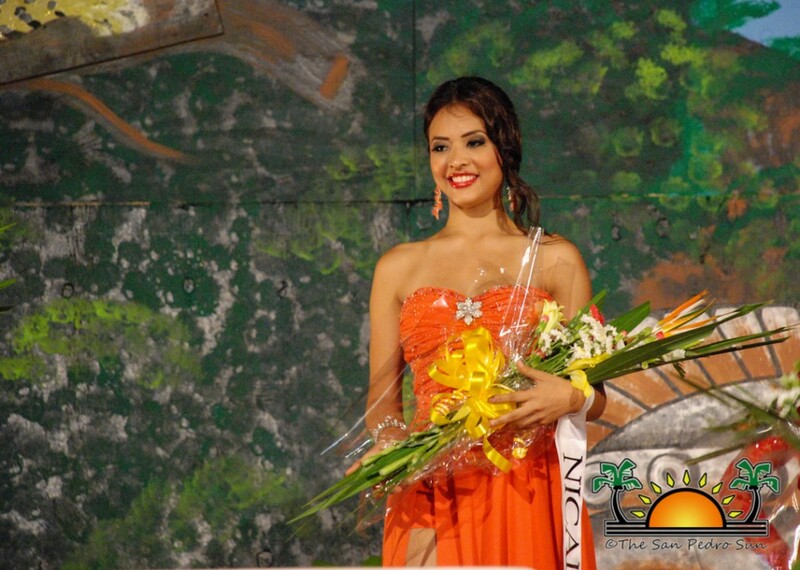 Miss Costa Rica selected the queen of the indigenous people of Naorin. Her gold and orange outfit symbolized protection. Miss El Salvador was dressed as the Princess of the Sun and showcased a bright orange outfit with beautiful feathers symbolizing woman power. Miss Mexico was dressed as a Maya Princess who fell in love with a Spanish warrior, giving birth to the first Mestizo. Her three piece outfit symbolized the power of the union of two groups of people. Equally beautiful as well as colorful was the costume worn by Miss Nicaragua which depicted the traditional and indigenous, marginalized Tenosique people. It depicted three elaborately adorned faces that symbolize their humility and struggle. 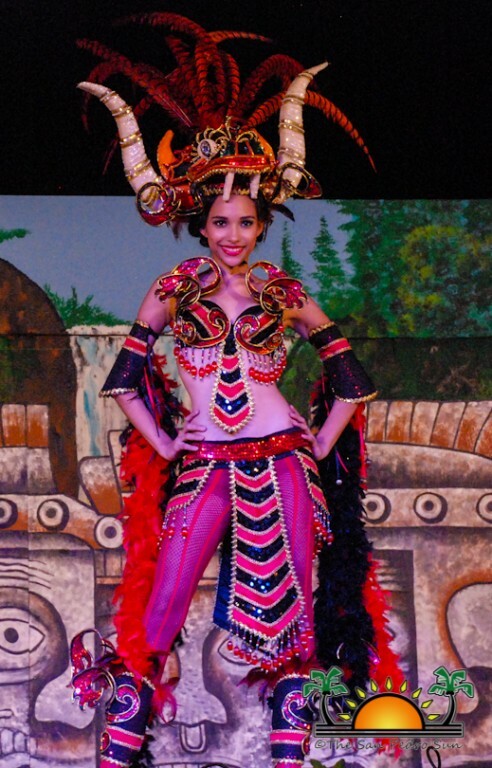 Miss Panama’s captivating costume depicted El Diablo Sucio and consisted of a headpiece. The headpiece had two horns symbolizing the devil. The costume displayed the war between humanity and the devil struggling for the soul of man. Miss Honduras modeled a full red costume that represented life and blood: the life of the Maya and the blood shed to protect their people. Following the display of extravagant and absolutely breathtaking cultural costumes, the lovely ladies took a break to get prepared for the much anticipated swimsuit competition. Performances from the Ballet Folklorico de Quintana Roo and the Belize Dance Company kept the audience entertained, but the real show came when the girls once more came on stage in their gorgeous shimmering blue swimwear. They danced to a medley of songs, flirtatiously posing for the audience, and working through a choreographed segment that took much practice and talent. After an intermission filled with dances, the lovely ladies once more came on stage, dressed in their stylish and elegant evening gowns. This of course this signaled what is perhaps the biggest challenge of the evening: the question and answer segment. While it is only a part of the selection process of choosing a queen, it brought out the nerves and anxiety, something that is not uncommon for pageantry. All the ladies did a splendid job, dominating the stage and capturing much applause from the audience. In the end however, there can only be one winner. After announcing the winner of the costume competition, which was taken by Panama’s Cleirys Velasquez, it was time to announce the runners-up, followed by the overall winner. Second runner-up is Panama’s Cleirys Velasquez, and first runner-up is Nicaragua’s Ariadna Judith Orellana. MC’s Eiden Salazar Jr. and Jennifer Chiong teased the crowd a bit, drawing the announcement for a while, before announcing the winner. 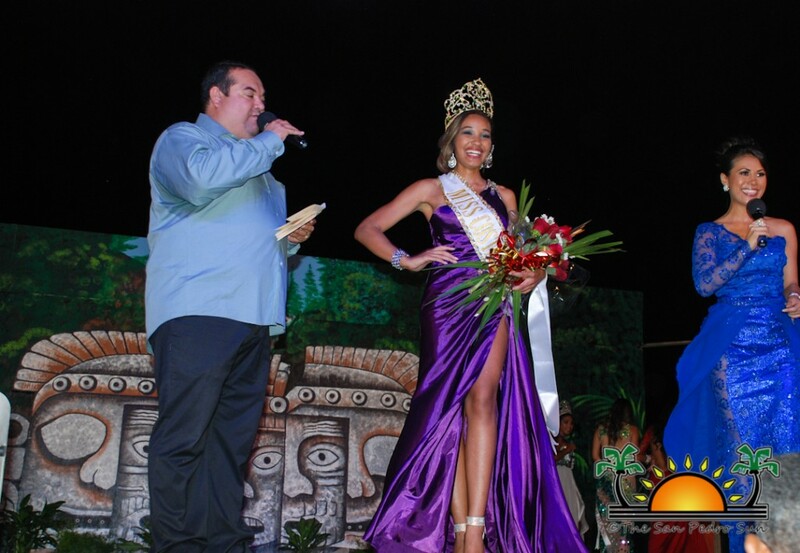 And the Reina de La Costa Maya is Belize’s very own, Destinee Arnold!!! The audience roared its approval, happy to keep the crown home after several years. An after party followed with the lively music of Rompe Raja. 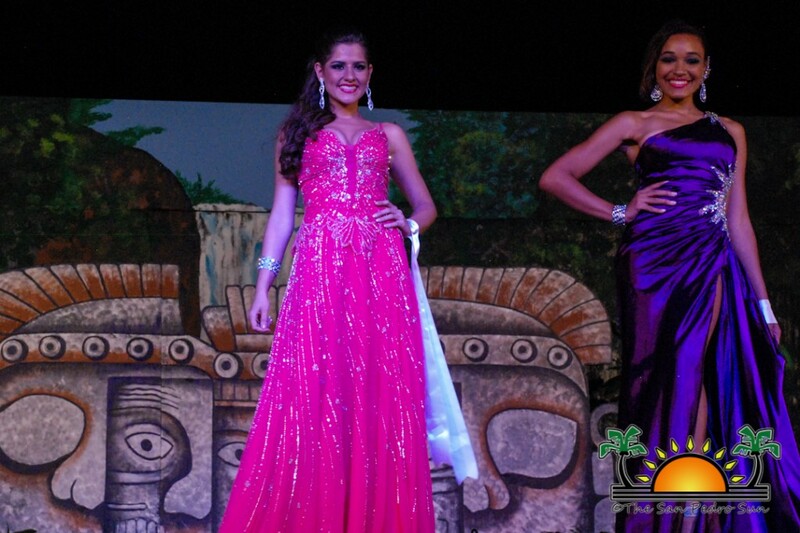 Congratulations to the all the pageant participants and to Miss Destinee Arnold, the 2013 Reina de La Costa Maya. Events will continue throughout the weekend with the official opening of the festivities at Friday’s Island Party Night which will include the dances of Central America as well as cultural Presentations. The entertainment includes Grupo Crash – El Salvador, Paradise Reggae Band – Guatemala and Dj ZOG – Miami, Florida USA. On Saturday, August 3rd the festival continues with International Night and includes entertainment by Grupo Crash from El Salvador, International Comedian Yan Somoza from El Salvador, Local Artist Tanya Carter and International Band Los Yonics from Mexico. Activities culminate on Sunday August 4th with the Love FM Island Kayak Challenge at the Central Park. The festival grounds will be open in the evening for the public to enjoy the mechanical games.